UNITED NATIONS, Feb 23 2018 (IPS) - It is not known exactly how many child soldiers there are in the world, but current estimates tell us that in 2018, the number is likely to be in the tens of thousands. The statistics are indeed concerning, with even the UN declaring that the number of at risk children is increasing at an “alarming rate”. 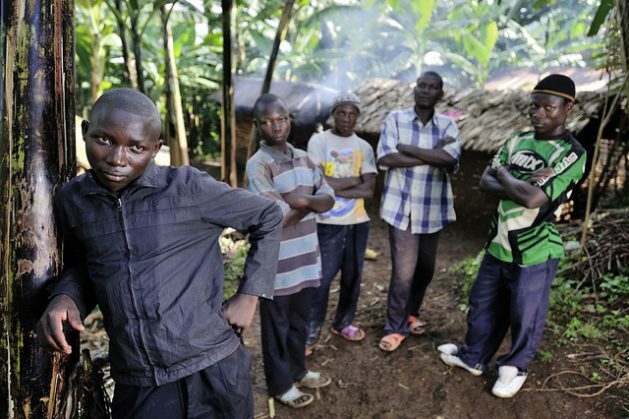 According to the report, entitled ‘Cradled by Conflict: Children in Contemporary Conflict’, a mistake that policy makers are making is focusing too much on the idea that child soldiers join armed groups because they have been ‘radicalised’. The ‘Cradled bo Conflict’ report and the Child Soldiers World Index data was launched on the International Day against the use of Child Soldiers, and the anniversary of the OPAC treaty – the world’s first international treaty wholly focused on ending the military exploitation of children.